The green coffee beans are cleaned and pre-soaked using water, which hydrates and prepares them for caffeine extraction. 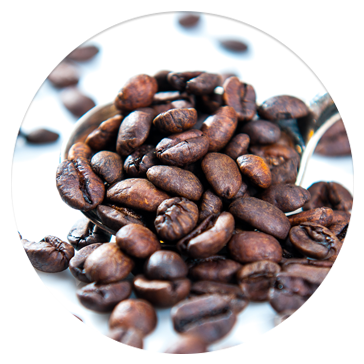 Gentle caffeine removal starts using a green coffee extract (GCE) and our proprietary carbon filtering system. The GCE is water super-saturated with soluble coffee components minus caffeine. The beans are held in extraction tanks where the GCE flows over them. Looking for equilibrium, the caffeine begins to migrate from the coffee beans into the GCE. By carefully controlling time, temperature, and flow, we are able to optimize the driving force which removes caffeine from the green coffee into the GCE. The result is a net extractive process whereby only caffeine is removed, leaving the coffee’s unique origin flavor characteristics intact. The GCE, now saturated with caffeine, flows through the carbon filters that trap only the caffeine. This is a continuous process in which the GCE flows from the carbon filtration system back to the extraction columns until the coffee beans are 99.9% caffeine free. This takes approx. 8-10 hours. When the carbon is saturated with caffeine, it moves to the carbon regeneration furnace where the caffeine is burned away. After the beans are decaffeinated, they are removed from the holding tanks, dried, bagged, tagged, and ready to be roasted. After every decaffeination, samples of Swiss Water® Process green decaffeinated coffee are roasted up and cup side by side with the original green. 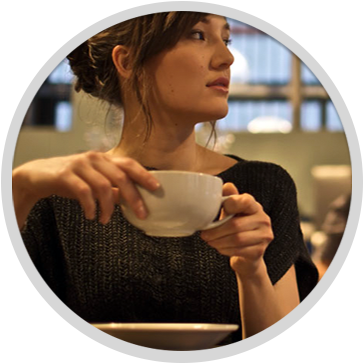 Provide quality coffee for all coffee drinkers, not just the morning customer. When you’re asked if you roast a reduced caffeine coffee, you’ll want to say that you use Swiss Water® Process, the only proprietary carbon filtering system for caffeine removal in the world. Now you can. 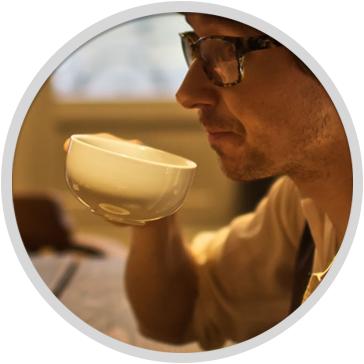 Our logo is recognized by coffee drinkers everywhere as a trusted sign that the coffee they are drinking is 99.9% caffeine free and became that way without the use of chemicals. We’ve been leading this business since 1989. Learn more about the history of our company and how you can use our logo on your own products.